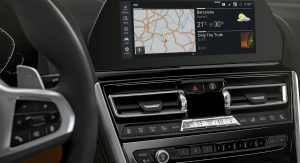 BMW has announced the US pricing details of the all-new M850i xDrive, which is set to hit the company’s showrooms on December 8. 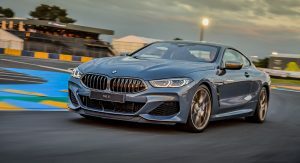 The BMW 8-Series returns after two decades in the form of the new M850i xDrive which is priced from $112,985, including a $995 destination and handling fee. 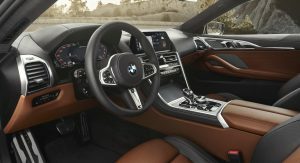 BMW has fitted the M850i with an impressively long list of features as standard, including Full LED headlights with BMW LaserLight technology, BMW Individual Merino Leather upholstery, sixteen-speaker Harman Kardon audio system, Sport Automatic Transmission, Adaptive M Suspension with Active-Roll Stabilization, M Sport Brakes, Parking Assistant and BMW Live Cockpit Professional with 12.3 inch and 10.25 inch digital displays. 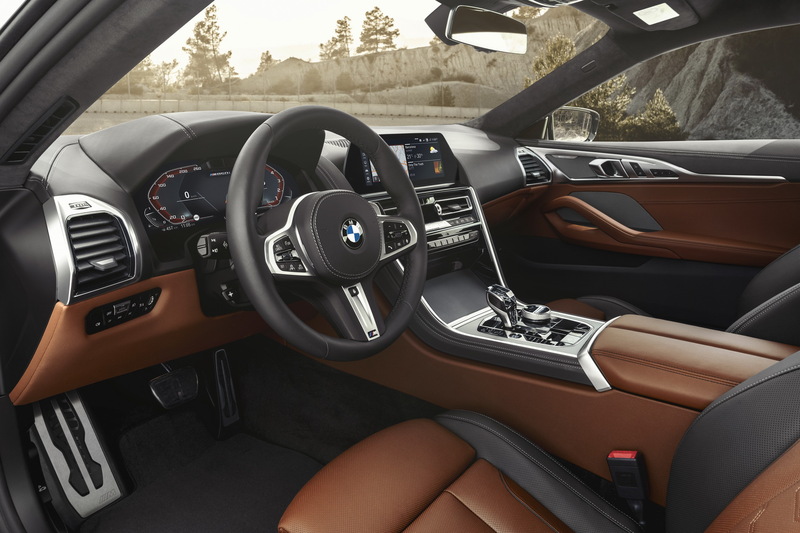 Options for the all-new 2019 BMW M850i include the Driving Assistant Professional, a 1,400-watt Bowers & Wilkins Diamond Surround Sound system, glass controls for the gear selector, iDrive controller, start/stop button and audio volume knob and a carbon fiber roof. 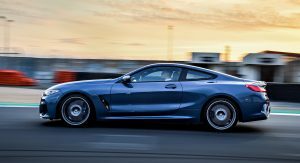 BMW will also offer a carbon fiber exterior trim package, which includes carbon inlays for the front and rear bumpers, large diffuser blades in the rear, and carbon mirror caps and rear spoiler. 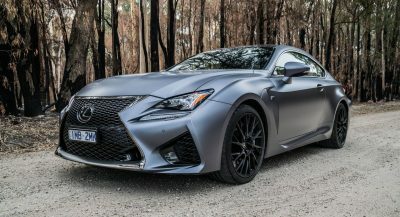 Power comes from the company’s new twin-turbo 4.4-liter V8 that makes 523hp (530PS) and 553lb-ft (750Nm) of peak torque from 1,800rpm. 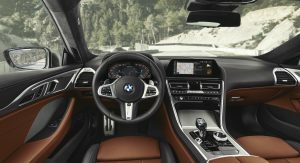 The engine sends its power to all four wheels via an improved eight-speed Steptronic automatic transmission. 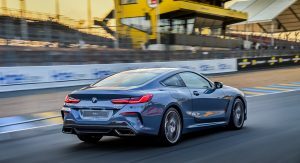 The added grip of the all-wheel drive also makes the new M850i a really fast car, with BMW claiming a 0-60mph in 3.6 seconds (0-100km/h in 3.7s). 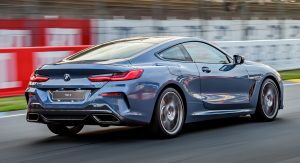 As mentioned above, the new 2019 BMW 8-Series will arrive in the US market this December. 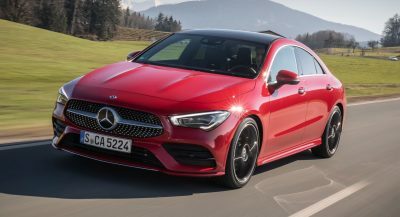 While I agree, it’s a full $12,000 cheaper than a base S-Class Coupé, so they have that going for them. Agreed. Gorgeous car, but the backend could use a bit more minimalism. Get rid of the red reflector strips and air extractors and it’s perfect. Juuuuust a bit outside of my budget. 100% correct. It’s the same car albeit the new version. They changed the name from 6 to 8 so they can justify asking for more money for it. Typical BMW marketing craziness. At that price, I think we can all say that production will come to an end in a few years from now. Or (like I have stated about 100 times here on this website) they’re going to need to “redesign or refresh it”. I wish that wasn’t the case. But it seems as though that’s the road they’re taking. 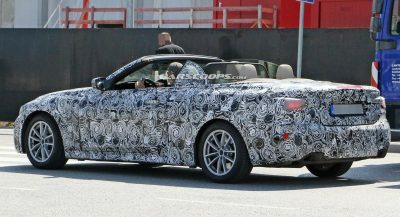 Oh, Also,.. We have yet to see the BASE model 8 Series (without all the “sporty M package” stuff). It has a completely different front end. 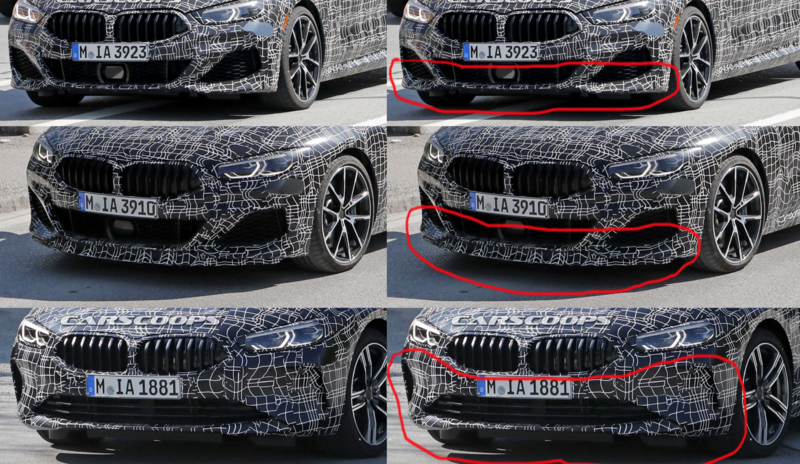 I seriously wonder why BMW has yet to show off the base model 8 Series (show below with the true M8 & the M850i). 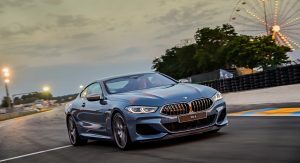 So your telling me that the BMW 8 Series M850i (which is not actually the M8, it is instead essentially just the 8 series with an M package/”bodykit”), is “starting” at basically $113,000 (likely without many (if any at all) options)? I am sorry but this is well over priced. If they gave us the concept vehicle that was shown off about a year ago, that would have been quite alright. But instead We are getting this. Now personally I would MUCH rather “cough-up” around an extra $15k and get myself a brand new (unused), Aston Martin V8 Vantage (as shown below). I imagine the M8 will be close to $120k at least. 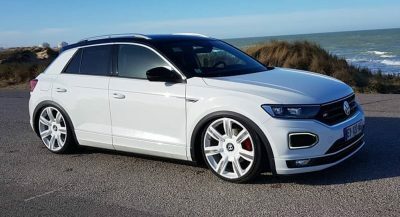 Frankly, I don’t want to judge the price until the reviews come out, as in the ones where someone drag races it, drives it for a day, then takes it on a hot lap around the nurburgring. This might be a newer, sleeker S63. At that point, cheaper, too, since a base S63 will set you back nearly $170k.